Would you like to skip years of trial and error? As I am sitting on my comfy chair, staring out of the window of my penthouse, I feel a wave of supreme calmness envelop me. It’s deeply satisfying to experience this feeling in a world where we are all constantly running around. I must say that the last 6 years of my life have been an exhilarating ride. A ride that I NEVER thought I would be taking. A ride that has changed me as a person from inside out. A ride that has given me a lifestyle that I never EVEN IMAGINED was possible. 6 years back, I was in a dead end job making tea for construction workers with no clue as to where my life was headed. But as of today, I have founded 5 separate million dollar companies and made over $15 million through all my online ventures. Not only have I produced great revenues but I have also built a great team who are working behind the scenes to take my company to the next level ($100 million). If someone had told me that I would be at this level 6 years back, I would have laughed at them. But here I am today, looking out of my window reflecting on everything that I had done to go from ground ZERO to building an 8 figure business in around 6 years. There were several key lessons that I had learnt in my journey. These lessons cost me a LOT to learn. Some I paid for with money. Others I paid for with soul crushing failure. But in the end, it was worth it as it was these lessons that allowed me to get to where I am today. You know in our schools and colleges, there is a lot of focus on these 2 attributes. But real life is different. When you walk out of college, you would see countless hard working and talented people wasting away their lives in obscurity. There are so many traffic experts, website developers, old school copywriters who are WAY more talented and hard working than me. Yet I make 10X – 100X of what they make. What happened to all their talent and hard work? I don’t mean to be a jerk but you need to know the truth. While talent and hard work are GREAT qualities to possess, they are NOT the holy-grail for success. What is really needed for success are these 6 critical attributes. You need to have a larger purpose for what you want to achieve in life. Without a vision, massive success is just not possible. When I got started online, I had no vision. I just wanted to make $100,000 per year. However during my journey, I understood the power of having a deep rooted vision which is what allowed me take my business to great heights. Most people are forever stuck in the “I am yet to decide” mode. You can analyze an opportunity 20,000 times but you can only succeed when you take a call and go for it. Sometimes after the basic analysis is done, you can ONLY find out if something works or not by DIVING IN. If you want real results in life, then you need to develop a GO GETTER attitude. This is NOT optional but totally essential for your success. Once you decide on a venture, the next step is all about setting SPECIFIC goals along with the timeframe needed to achieve them. Then you must put together a detailed plan of action to achieve your goals. This is what separates the MEN from the boys. Anyone can watch a few videos and get pumped up. But those who put their heads down and work out an actionable plan are those who are going to achieve success. Execution is something that is SO DIFFERENT from hard work. Spending 3 hours a day thinking and writing the perfect email is HARD WORK. Spending 15-30-45 minutes crafting a good email and then moving on to the next job is SOLID EXECUTION. Spending 5-10 hours to get the perfect looking presentation is HARD WORK. Spending a few hours putting together a good quality presentation without needlessly worrying about whether it looks perfect or not is SOLID EXECUTION. Are you seeing the point? It does not matter how hard you work each day? What matters is HOW MUCH YOU EXECUTE each day. People who are successful EXECUTE a lot. And you know what, when you start executing tasks in a streamlined way, you don’t have to work so hard. You just have to find out what kind of work is needed to get the most results and just laser focus on getting it done FAST. The ability to take a proactive approach is a very very under-rated attribute. Once you set a plan in motion, you will run into issues. No question about it. It will happen for sure. You WILL run into problems. If you want your plans to succeed, you need to be making constant proactive changes so that your small problems don’t turn into big ones. This way you can avoid major setbacks and be on track to achieve your goals in the set timeframe. This is something that 99% of the marketers don’t do and they sadly pay the price for it. Don’t ever let things get out of control before tackling them. Be always wary of small problems as they could turn into BIG unmanageable problems if not given the proper attention. Sometimes even with the most solid plan and a proactive approach, we may not get our desired results. This is where a brutally honest analysis is needed. Sometimes you may have to change up your strategy completely. Sometimes you may have to change your product offering. Sometimes you may have to rework your entire funnel. Doing a brutally honest analysis of your flopped campaigns is not hard. But those who want to succeed accept the reality fast and take corrective actions. I can’t tell you how many flop moments I have had in my business. But I just get up, brush it off and ask myself “what’s next” and get on with that. Successful people from all walks of life possess all of these attributes. Sure in some cases, talent makes a LOT of difference (like in sports) but generally its an over-rated trait. What matters are these 6 attributes. If you work on yourself and develop these attributes, you would get results faster than anything else. Surprisingly, NONE OF THESE ATTRIBUTES get talked about in schools and colleges. If you really want to build a multi-million dollar business, you need to choose the right kind of products that can help you get there. You need to choose products that provide TRANSFORMATIVE VALUE for your customers. When your product can provide that, you can charge big bucks like $1000 or $5000 or $10,000 or more for it. And when you have the ability to make $1000 or more from each sale, you will find it FAR MORE easier to profit from your paid marketing campaigns. This makes SCALING your campaigns fast and easy. Ideally speaking, its better to have a series of high quality products ranging from $10 to $50,000+. This allows you to penetrate the widest segment in your market and maximize revenues. Do you know what’s your average customer value? Do you know what’s the MAXIMUM amount you can spend on a lead after which you would start losing money? Do you know the EPC (earnings per click) of your campaigns for a particular traffic source? These are business numbers that you need to be knowing. Here’s why its so important. In MOBE, my average customer value is $1500 odd. That means if anyone buys any of the MOBE products, he is worth $1500 to me over the course of time. That means I can spend even $250 or $300 or even $500 to get an MTTB sale (which is worth $49). Since I know my business numbers, I can confidently keep paying that amount to acquire a customer (because I know I would get a handsome ROI on that eventually). This KNOWLEDGE allows me to scale with confidence and get results EVERY TIME. Here’s another stat of mine. My list size is around $120,000 odd. Every month, I pull in around $800,000 odd. That means my average subscriber is worth $6 per month to me which translates into $72 per year. It tells you that EVEN if I pay $10 or $20 per subscriber, I can make GREAT PROFITS. I don’t have to pay that amount but I can because my business numbers are THAT good. Since my business numbers are THAT good, I can confidently splash a LOT of money on advertising to get massive traffic and grow my business fast. Do you now see the power of knowing your business metrics? Its NOT for showing off. Its for knowing whether you are on track or not. Its for knowing how much you can spend to acquire a customer. These stats are the backbone of your business. So start running campaigns and calculate your business numbers. In your initial stages as an online marketer, you would be doing everything on your own. Driving traffic, creating funnels, answering questions, etc, etc. But as your business starts to grow, you NEED to put in plans and take yourself out of the equation (as much as possible). So you need to start hiring the right people. They are the ones who are going to run your business for you so that you can focus on the BIG PICTURE. While you are hiring people, you need to put together solid systems & processes for various operations. A process for buying traffic. A process for calculating various stats. A process for developing funnels. A process for managing different campaigns. A process for content marketing. A process for handling customers and clients. How does every McDonalds franchise run so smoothly? Its because EVERY SINGLE ASPECT of that business is SYSTEMATIZED and the same template is used by every franchise. Systems & processes create predictability and consistency. This is what helps you GROW FAST and SCALE. Lesson 5 – Keep Driving Traffic Everyday. Don’t EVER Stop. This is something that should be obvious yet people don’t get it. They generate traffic sporadically but expect consistent sales. It doesn’t work like that my friend. If you want to make CONSISTENT SALES, then you need to drive CONSISTENT TRAFFIC. Every business in the world has to do that. I make around $800,000 every month and I generate 500-2000+ leads every day. What happens if I don’t generate ANY leads for a few days? You have got to keep driving consistent traffic to your pages and keep collecting leads. You can start off by generating 20 leads per day. Then move upto 50 leads per day. Then 100 leads per day…then 500 leads per day and so on. If you want a multi million dollar business, then keep driving traffic, keep optimizing your campaigns to make profits and keep INCREASING your traffic volume every month. That’s the core essence of it all. Your email list is your MOST VALUABLE ASSET. Even more valuable than your home or car (once your list reaches a certain size). Every single day, my online business produces $28,000+ in revenues. And unlike other marketers whose income fluctuate wildly every month, mine remains consistent. Well, I am sorry for that statement. My income is NOT consistent. It GOES UP every month. And the reason why my income keeps growing is because I have built an email list of subscribers for whom I write emails EVERY FRIGGING DAY providing them with insane value. This in turn gets them to buy my products and turn into lifelong happy customers. 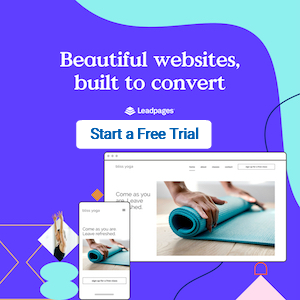 Most marketers spend a couple hundred bucks getting a couple hundred subscribers, send out a few emails and when they don’t make a bunch of sales, they declare that email marketing doesn’t work. However you have to be CONSISTENT in your efforts. Start emailing your list daily. Your emails must deliver value and sell at the same time. Your sales at first will be slow. But you MUST keep emailing no matter what. Soon your sales would start getting a wee bit more consistent. Keep emailing daily. Don’t EVER stop. You would soon start making sales everyday. Then you would wonder why the hell didn’t I do this before? Look, there is no need to complicate your online business. Email daily selling good products. Make insane profits my friend. As much as I love emails to make boatload of sales every day, I have to acknowledge the power of webinars. There is NO marketing method out there in the world that produces AS MANY high ticket sales in a short time as a webinar does. Webinars are the ultimate tool for massive instant sales. 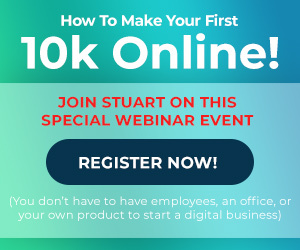 If I ever want to make a quick $100,000 in my business, I just launch a new webinar, deliver a killer presentation, make a time sensitive offer and rake in the sales. Make sure you incorporate webinars into your marketing funnel and watch your profits SOAR. Every single day, I spend around 30-60 minutes ALONE reflecting upon various things. This very blogpost is a result of one of my “alone” sessions. Haha. You start understanding yourself better. You start understanding what your flaws are. You start understanding where you need to be improving. You start becoming more confident while being humble. You get to a place where you don’t care about irrelevant opinions. Your attitude towards success and failure changes. You start learning to respect yourself even when you fail and you stop believing your own hype when you succeed wildly. The more you think and reflect, the more you GROW as a person. So go ahead and spend some time alone every day. You will grow as a person by leaps and bounds. Lesson 9 – People LOVE to buy cool stuff. Give them that experience. Imagine the time when you bought a cool car. You felt GREAT even though it cost you an arm and leg. We humans JUST LOVE to buy stuff. The experience of paying a premium price to buy something cool feels GREAT. That’s how we humans are wired. Your prospects are NO different. So make them FEEL GREAT about buying your products. Make them feel exhilarated when they send you money to get what you have to offer. You need to always choose GREAT products to promote. Products that have transformative value for your customers. When you choose great products to promote, your belief in them would be SKY HIGH which would reflect in your marketing. If in case you don’t believe much in your product even if its high quality, then work on your mindset first and then start promoting. Your prospects are people who need solutions to their problems. They want to BUY but they want to be sure that they are making the right decision (because no one wants to look like an idiot). So give them a GREAT EXPERIENCE through your marketing. Make them feel how their life would be better off when they get hold of your product. Do it right and they would love you for it and buy from you. This is my secret for making tons of product sales. People FEAR SUCCESS way more than they fear failure. Most people cannot handle success or the possibility of success. It’s a mindset issue and a subconscious one at that. I have seen people subconsciously sabotage their success when they are moving in the right direction. When you start doubting your path for no reason…when you stop taking action suddenly….when you start procrastinating after a great start…its ALL because of the fear of success. And the most dangerous aspect about fear of success is that it gets UNDERESTIMATED A LOT. How many people would admit they are afraid to fail? How many people would admit that they are afraid to succeed? The only way to overcome it is by RUSHING and DOING what you have to do anyways. At first, it may look scary but soon you will be alright. You are CAPABLE of incredible things. You CAN achieve success even if you have failed countless times in the past. What others say about you has no bearing on your future actions. Heck….6 years back, where was I? Making tea for construction workers. Today, people from all across the globe come up to me and happily pay me anywhere from $25,000 to $100,000+ for my private coaching. Do you think anyone COULD have predicted this? We all are capable of achieving great things in life. But the belief must start from us. After all, if we don’t respect ourselves, how can we expect the world to do it? So screw fear of success. And go ACHIEVE your dreams. Me and countless successful people in this world (who came from NOTHING) are living proof of that. Go and scale the peak, TIGER. You can read the original article right here.